SC13 will have over 360 exhibits this year. In such a vibrant and growing technology space, how does your company stand out with marketing programs that deliver results? To get a perspective on this, we caught up with a seasoned HPC marketing veteran, Mike Bernhardt. Many of you know Mike’s name as the Publisher of The Exascale Report, but he is also a highly regarded strategic marketing and communications consultant and sits at the helm of Team Libra Communications. You might also remember Mike as the SC09 Communications Chair, a year where I think the conference really knocked it out of the park. insideHPC: What would you tell these marketing guys out there who are fighting for internal resources? Mike Bernhardt: Executives who may be one or two steps removed from marketing have to realize that within the HPC community, there is a certain level of awareness and brand recognition activity that’s expected from a vendor who wants to be taken seriously in this space. It’s a fast paced market in many ways. People are constantly working on proposals, responding to RFPs, and working on a wide range of procurement deals. It’s actually very easy for an organization in acquisition mode, within the HPC community or at the fringe, to overlook one of the key HPC solution providers. And even if they’re reminded of a good vendor candidate along the way, it may be too late for an active RFP. So staying in front of those folks on a continual basis is absolutely critical within the HPC segment. I think that some organizations tend to think of marketing as something that is nice to have, and they overlook how critically important it is. They need to have their messaging, positioning, and competitive posturing out in front of people all the time through multiple channels. So let’s consider a customer organization out there that has a procurement team, and they’re evaluating alternatives for a new computing or storage system. If they’re considering the options, they would probably start with the vendors that they are most familiar with. But if these decision-makers are constantly seeing the messaging from one of the newer, more aggressive players, they are often inclined to take a look at that. And here is the key–they tend to do that process through peer-to-peer communication. If their influence partners are not aware of the vendor or solution provider, the credibility factor of that vendor or product immediately slips. In the HPC Segment, decision makers don’t necessarily start by clicking an ad or reading a story, and then signing up for more information. But such impressions can inspire them to talk to their peers and colleagues to determine if that product is a viable solution for them. So from what I’ve seen over my 26 years in this community, this is very different from the way that a potential customer might respond to an ad in the mobile or enterprise computing spaces. insideHPC: So you’re saying there’s a different pathway to sales here in HPC? Mike Bernhardt: What I’m saying is that, as a vendor, unless I’ve made a strong impression upon these folks to get to their top-of-mind, they won’t be seeking that counsel with their peers. To make matters even more complicated, when you look at a market like HPC that has some long-standing vendors, those companies tend to become known for one thing. And that makes it especially tough for them when they add new capabilities and technology solutions outside of that known space. Their marketing teams have to really step up to overcome that notion that your company just does an updated version of what they did 20 years ago. So even with the cornerstone organizations in HPC, they have to tell us what they’re about today. And they can’t depend on one editorial piece, trade show, white paper, or press release to get the job done. If they don’t hit multiple channels, it’s just way too easy for decision-makers to miss the message. insideHPC: How has marketing in HPC changed over the years you’ve been serving the community? Mike Bernhardt: When I first entered the HPC space doing marketing programs some 26 years ago, technical marketing was just starting to come into its own. At that time, I don’t think marketing people were all that welcome in a technical community that just wanted the facts. And so I think you had to pay great attention to balancing your marketing programs, even though you wanted to beat your chest and brag. You had to learn to temper that hyperbole quite a bit and as a result, the tone got increasingly conservative in the early 1990s. And then things started to loosen up a bit after that in the mid-90’s and we saw more flashy marketing approaches (think animatronic robots in the SC95 Cray booth for example) and people started adding more fun things into their marketing programs. But in the early 2000s, I think that it was about the time when Grid was getting very popular and everything just got blown out of proportion. There was even a one-time Grid trade show in Philadelphia that was considered somewhat of a disaster that really drove the point home. You just couldn’t separate the facts from hype, and that left the technical computing community with a very bad taste in their mouths. When that happens, they tend to be less open to receiving almost any message from marketing. They then go tighter into the huddle with their peer groups to talk through what’s going on with technology, while discounting almost everything that comes from a marketing organization. So it goes in cycles. These days, I think we’re seeing things loosening up to the point where I think we can start having fun with marketing again. And there are a couple of things affecting that. 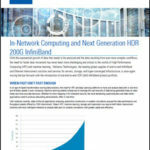 The old guard of supercomputing is thinning out, and there’s a new generation of HPC professionals coming in. And these younger people (age, experience, skills) are often more open to a more fun and lighthearted approach to things, as long as it’s all based on reality, facts, and real-world comparisons. With that in mind, I think a company that learns to present the facts in a fun and entertaining way will see their mindshare increase out there. And I think we are going to see a change in the way companies are doing their marketing as a result. It’ a positive change, and I think its going to be good for the HPC community. insideHPC: How much does marketing really help if an HPC vendor’s target prospects are within the national labs? The future for any of the research labs depends on their ability to procure new funding. And that is obviously based on both the real and the perceived success of the programs they launch. When they request millions of dollars for a program that is based on technology from a particular company, they need to know that the companies and the products they intend to work with have the right appeal and the support of their community. So the way a vendor’s marketing programs are perceived, with items such as success stories, case studies, and customer-driven white papers really helps the labs in making their own case when they go out to look for their funding. Mike Bernhardt has held staff positions with a number of leading edge companies including Prime Computer, DEC, Multiflow Computer and Intel. As a consultant and agency owner, he has been responsible for branding, advertising, marketing and communications campaigns for dozens of HPC companies over the past 25 years. If you don’t know Bernhardt’s name, you will probably recognize his face. He truly is one of the HPC veterans. This is Mike’s 26th consecutive year for attending the SC conference. This story appears in The Print ‘n Fly Guide to SC13 in Denver. We designed this 24-page Guide to be an in-flight magazine custom tailored for your journey to the Mile-High city at SC13.